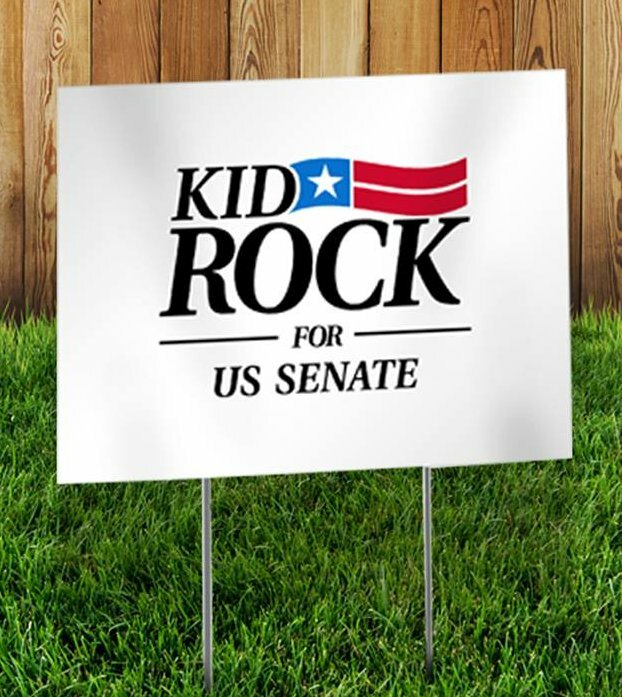 A website called Kid Rock For Senate recently went online but it wasn't until late Wednesday afternoon (July 12) that he made it clear that it was no joke. Both of Michigan's senators are Democrats at the moment but it is Debbie Stabenow who is running in 2018. Stabenow will be completing her third term, being first elected in 2000 after serving four years in the House of Representatives. Two other Republicans have already declared their candidacy, businesswoman Lena Epstein and former Chief Justice of the Michigan Supreme Court Robert P. Young, Jr. 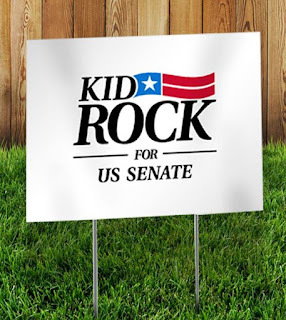 Currently, there is not much on Kid Rock's official Senate run site. It's topped with a picture of the singer and a deer, below which is the phrase "Are You Scared?" A rotating banner includes phrases like "In Rock We Trust", "Pimp of the Nation", "Party to the People", "You Never Met a Politician Quite Like Me" and "Get in the Senate and Try to Help Somone". He also already has campaign merchandise for sale.